If you’re anything like me, when you’re not traveling you are either planning your next adventure, dreaming about your next escape or reading about traveling. Over the years, I’ve read a fair amount of travel-related books with some that I enjoyed more than others. 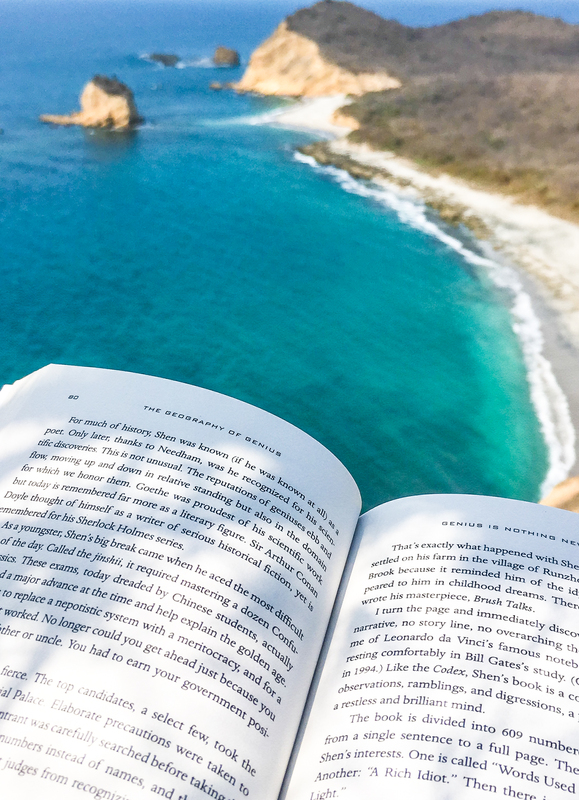 Today, I’m going to share with you my favorite 10 travel books that you should definitely pick up this year to fuel your wanderlust. Starting off with one of my favorite travel books and possibly favorite author. Eric Weiner is a former foreign correspondent for NPR and now tells his adventures around the globe in quest of answers. 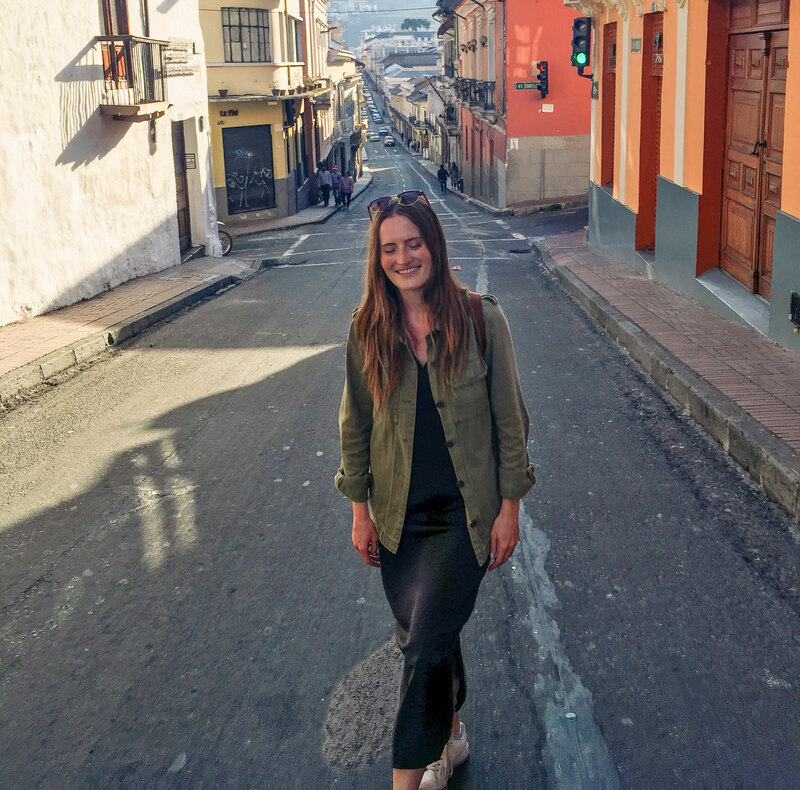 In The Geography of Bliss, the author travels to various countries notoriously known for being the happiest places on Earth in search of what happiness means to them. As if thorough descriptions of the incredible places he visits weren’t enough, Eric Weiner has a great sense of humor and will sneak smiles out of the grumpiest among us. If you’re looking for a delightful read, wait no more! I remember reading Wild on the train on my way to university. I always looked forward to this hour of escape on the Pacific West Coast Trail with Cheryl Strayed. Wild is a powerful story based on the author’s own experience about forgiving yourself and reclaiming your life. The book features a strong female lead and inspires women to get over their fears and stand up for themselves. The story is so captivating that you’ll hardly be able to put it down! Not a new read but one that will push you out of your comfort zone and make you reflect on your perspective on life. In The City of Joy, Dominique Lapierre tells the story of a rickshaw puller and his family as they are going through extreme hardships. The author’s style and detailed description of Calcutta take you right to India where the characters deal with extreme poverty. It is a story about misery and misfortune but also somehow about kindness and joy. I stumbled upon The Alchemist on my parent’s bookshelf a few years ago and it’s a book that I tend to go back to every now and then when I’m feeling lost. Somewhat more of a philosophical read, The Alchemist follows the journey of Santiago, the main character, as he makes his way from Spain to Egypt to find his treasure. Along the journey, he learns valuable lessons that bring him closer to his purpose. If you’re looking for an inspirational read that will make you reflect on your life and trust your own journey, this one is for you. As an aspiring travel writer and entrepreneur, I might be biased about this one but I found it really interesting to read about The Lonely Planet’s Story and how it came to be one of the biggest travel publishers in the world. Alternatively, you can also listen to their story, told by Maureen and Tony Wheeler themselves, on one of my favorite podcasts, How I Built This from NPR. Another one by Eric Weiner (spoiler: not the last one) but there’s a good reason why. To me, he is just to best out there in the travelogue genre. From Nepal to Las Vegas, Eric Weiner immerges himself into different faiths such as Islam, Sufism, Buddhism and Taoism between other, looking to define what spirituality means to him. All in all, Man Seeks God is a very interesting light read that will teach you more about these religions, including some you may have never even heard of! Eat, Pray, Love figures on every travel book list out there and yet it is a very polarising book. You’ll either love it or hate it. I personally liked it. Featuring a strong female lead, I feel like whether or not you enjoy the book may depend on what you’re going through at the time of reading it. In my case, it so happened that I dived into the book as I was about to embark on my first solo travel journey to Indonesia so I could resonate better with certain parts of her story. Despite all the criticism, I found it overall inspiring and definitely worth your attention. I finally got around to reading The Sun Also Rises after I got my hands on a copy last summer in Boston. Widely considered as Hemingway’s best work, the book focuses on the journey of expats making their way from Paris to Pamplona to assist to the Festival of San Fermín. The story not only takes you on their journey but makes you also travel back in time to the 1920s in the post WWI era, giving you an insight into the thoughts of the disillusioned lost generation. I’m pretty sure you’ve all seen the movie by now but even if you’re already familiar with the storyline, the book is still worth the read. Into the Wild, as written by Jon Krakauer, explores in greater depth certain aspects of Chris McCandless’ story such as his motives for going on a journey that will eventually lead to his own death… A must read for all of the adventurers out there. Last but not least, the book I’m currently reading that happens to be Eric Weiner’s latest book, The Geography of Genius. This book is brilliant. It might even be my favorite in his collection so far. This time, the author reflects on what sparks genius and creativity around the world. From Ancient Greek civilization to the Italian Renaissance, he travels to Athens, Hangzhou, Florence, Calcutta and many other cities in search of the answer to yet another timeless question. Another delightful read that I couldn’t recommend enough! I hope you’ve enjoyed my recommendations and that you’ve discovered some new reads to add to your own collection. I’m currently on the hunt for some new travel books so please let me know in the comments which ones are your favorites! Havent heard of any of these but looks like a great list! I will probably start with into the wild because it seems the most interesting! Great choice, it’s a safe bet! Maybe because the focus of these books isn’t solely traveling but rather experiences lived through journeys? 😊 Hope you enjoyed them back in the day! If you liked “In the Wild”, you’ll like “Into Thin Air.” It delves into the 1996 Mount Everest disaster. I’ve seen the movie but haven’t read the book. Sounds like it’s right up my alley, thanks!